There is an exciting raft of smartphones due for release in 2017, with the iPhone 8, Galaxy S8 and LG G6 at the top of the list. With Samsung and LG having confirmed the release dates of these latter two devices, we are closer to knowing what the mobile marketplace has in store for this year. So here is a rundown of the major devices and the dates that they can be expected to appear. We must begin with the iPhone 8, which will undoubtedly be the highlight of the smartphone year. Apple is expected to produce a particularly outstanding unit in 2017 to mark the tenth anniversary of the iPhone series. Apple has been linked with some revolutionary technology for the iPhone 8, while the range is expected to introduce curved screen technology to the iPhone. 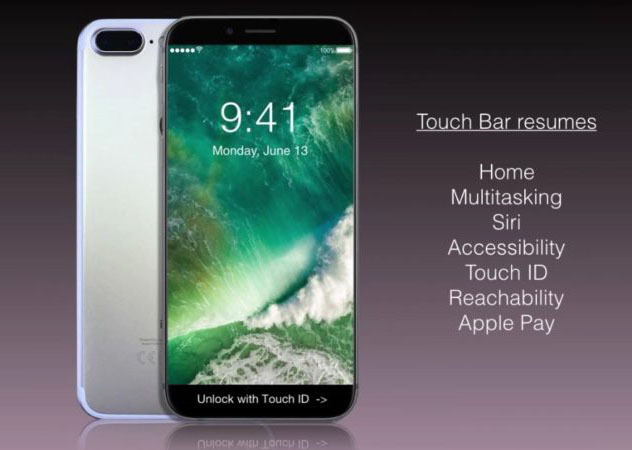 Although the official release date for the iPhone 8 is a long time away from being confirmed, it is extremely likely that Apple will follow the September policy that it has instigated over the last few years. A repeat of the iPhone SE is not expected in 2017, so the solitary iPhone release will be the iPhone 8, possibly on September 15. This day falls on a Friday which would follow what Apple did in 2016. It has now been revealed that Samsung will unveil the Galaxy S8 and Galaxy S8+ at a special event in New York. This will take place on March 29, with the Korean corporation needing to deliver a very strong message to recover from the disaster of the Galaxy Note 7 and its regrettable explosions. A pre-order date for the Galaxy S8 is not yet available, but early reports suggest that April 13 is a possibility. One whisper has indicated that Samsung intends to launch the Galaxy S8 globally on April 21, with Korea benefiting from a launch one week earlier on April 14. Samsung has changed tack from its original intention to ensure that pre-orders go live in the week commencing April 6, with the manufacturer believing that its supply chain must be given enough time to manufacture satisfactory stock. 2017 will certainly be a significant year for LG, as the company attempts to establish itself as a truly mainstream smartphone contender. Certainly the trend of LG has been in an upward direction over the last couple of years, but its penetration into the Western marketplace is still not quite as strong as the company would undoubtedly like. LG is now very well known, and arguably a recognizable household name, but it has yet to become an iconic player in the smartphone niche in the way that Apple undoubtedly remains. Perhaps the LG G6 can change this. Rumors are abound that LG will begin selling the LG G6 on March 10. This will follow a week of the pre-orders, with the first early adopters able to place their orders on March 2. The Galaxy Note 8 will be an incredibly important release for Samsung following the fiasco of the Galaxy Note 7. The company has already confirmed that this phablet will indeed emerge, although very few explicit details have been provided at this juncture. The by now infamous Galaxy Note 7 launched on August 19, 2016, so expect the Note 8 to emerge around August 18. The Google Pixel 2 could be one of the most exciting smartphone releases of the year, with some impressive specs already being linked with the smartphone. Google is in no position to rival the major players in the market, but it’s looking to gain something of a foothold in mobile. The last Google Pixel release was in October, but it is reasonable to expect the Google Pixel 2 to be pushed forward significantly, following mediocre sales last year. Thus, this could be a Q3 release, and possibly even toward the earlier weeks of that quarter.